We’re a little obsessed with wooden architecture in the NW Coast archaeology world – with good reason, I guess, since monumental wooden houses are such a prominent feature of the recent past. I suppose we sometimes stereotype these houses a little – a point some commenters made in the Houses on Stilts post here a while back – we think: “large rectangular house squatting in midden supported by giant house posts.” Not always the case, certainly not through time. In general, we may underestimate large scale constructions in stone. Burial cairns and mounds (one of Darcy’s consists of 18 dump-trucks worth of soil), rock wall defensive sites, trench embankments, canoe runs, fish traps, and of course, clam gardens, all involved massive deployments of stone, with associated labour investments and creation of a durable built environment. Anyway, we’ve recently been running into enigmatic rock structures on the central coast and Quadra Island, and in particular, the possibility of dwelling structures partially based on stone walls. So it’s quite cool to run across the picture above from the SHI photo collections, showing a Taku Tlingit house from the historic period, sitting on a platform which has a stone wall as a foundation. Tlingit war helmet recently rediscovered in Springfield Science Museum. Source: SSM. This is the kind of cool story that makes me want to poke around in all the community museums I see. A fantastic Tlingit war helmet has been recently rediscovered in the backroom of a museum in Springfield, Massachussests. 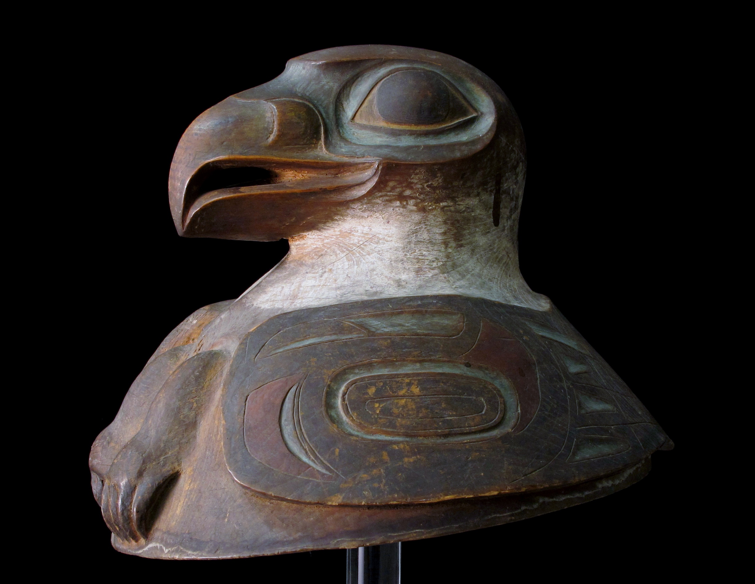 The helmet was accessioned in 1899 as an “Aleutian hat” and the designation was never questioned until now. The news article about it suggests only 95 of these helmets are known, with the largest collections found in Russia. They are part of an elaborate system of armour known from the contact and early historic period in Tlingit territory (Southeast Alaska – Alaska Panhandle). E. James (Jim) Dixon, now at the University of New Mexico, is pretty well known on the Northwest Coast for his pioneering work at the 10 to 12,000 year old 49-PET-408 (“On Your Knees Cave”) in the Alaskan Panhandle, and more recently for his exciting work on Alaskan Ice Patches. 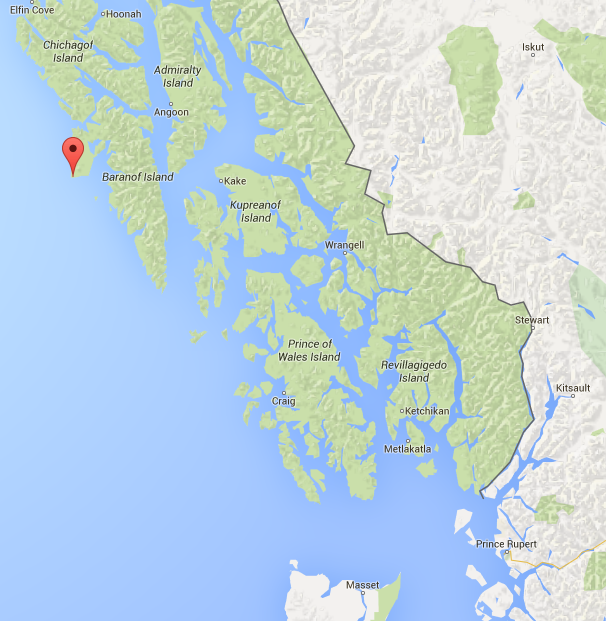 I see now that he apparently received some funding to go underwater during the summer of 2010 in the waters around PET-408, not far north from the aptly named Dixon Entrance, in Southeast Alaska (map). This work could have implications for the coastal route of First Peopling of the Americas. Work on the log begins. Source: Yukon Canoe Project. Nineteen young Yukon carvers made history by creating a 30-foot red cedar dugout canoe. Under the leadership of Tlingit Master Carver Wayne Price, the carvers went on a journey of discovery. An island on the east side of the Yukon River became their home for the next two months as went go back on the land to learn the traditional techniques for carving a dugout canoe.